Ranked 2nd in both population and size, Texas is a massive southern state stretching from El Paso in the extreme west to the metropolis of Houston and the cotton fields and historic plantations of Eastern Texas. 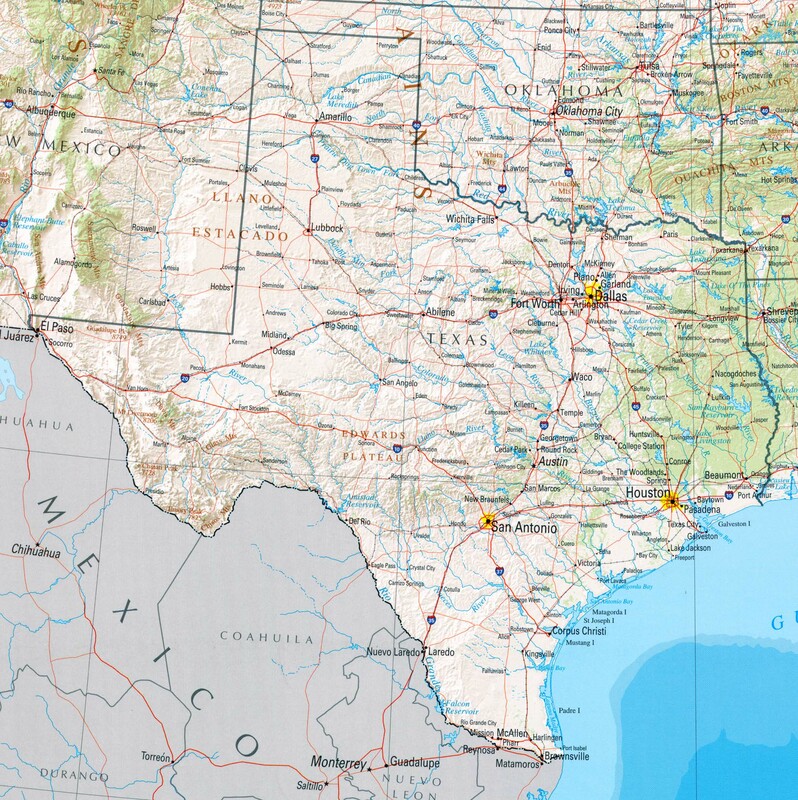 From north to south, the state extends from the semi-arid terrain of the Texas Panhandle to the Gulf Coast region and the Rio Grande River that forms the border with Mexico. The geography of such a large state obviously varies dramatically, though generally speaking Texas is not an extremely mountainous state (the only debatable exception being The Basin and Range Province, which includes the Big Bend region). The climate tends to become drier and the terrain more rugged as one moves further west. Over the long history of Texas, it was at various times part or whole of six different countries (France, Spain, Mexico, Republic of Texas, the U.S., and the Confederate States of America). Numerous Native American tribes had long settled in the region, and prior to 1821, it was part of the New Spain colony. Texas was then incorporated into newly-independent Mexico, though the restless region could never be fully subdued by the Mexican Government. Slavery and regional rights were at the heart of the issue when Texas ultimately decided to secede from Mexico on March 2nd, 1836 (it was less than 30 years later when Texas decided to secede from the U.S. for similar reasons). 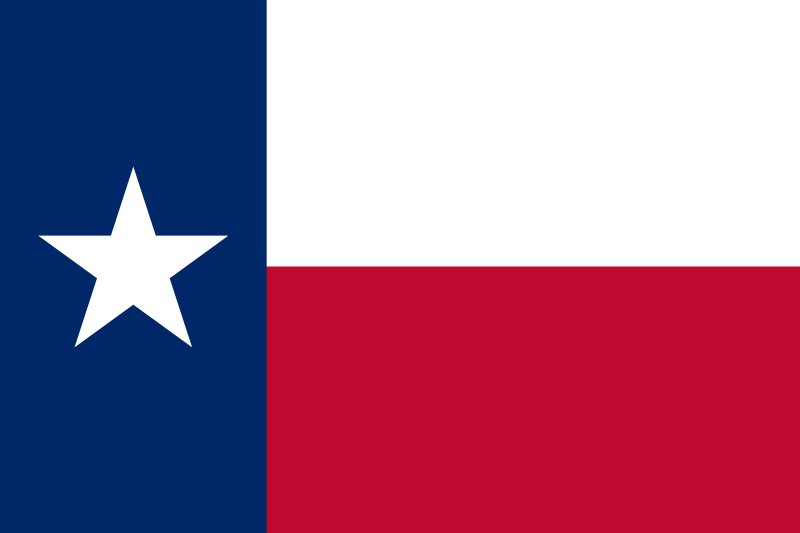 After the economic collapse of the budding Texan Republic, the United States admitted Texas into the Union on December 29th, 1845 as the 28th state. More than one third of Texans are of Hispanic origin, contributing much to the culture and economy of the state. The Black population stands at about 11.3%, with the largest communities centered around the eastern portion of the state. Texas is the only state in the U.S. with three cities over one million people - Houston, Dallas and San Antonio. Houston is the largest, and the center of the oil industry. Dallas is a world-renowned manufacturing center and a major transport hub. San Antonio is a lively and multi-cultural city located in the south-central part of the state. Austin, the state capital, is the 4th largest city in Texas and renowned for its music scene. Texas is a world leader in medical research and healthcare, home to the world famous Texas Medical Center where more heart transplants are performed than anywhere else in the world. Once a rural-based economy dependent on cotton farming, Texas has gone through radical changes in the past 6 or 7 decades, becoming a major manufacturing and information technology center, as well as a global leader in oil and gas extraction and processing. Houston has one of the busiest ports in the world, while the Dallas-Ft. Worth area is a major metropolitan area with the 3rd largest airport in the world. Capital Punishment is widely supported in Texas. Over a 27 year period, the state has executed more inmates than the next 5 states combined. Texas is a firmly conservative state, both fiscally and socially, though there are pockets Democratic strongholds. The state unsurprisingly gave fellow Texan and former Governor George W. Bush a wide margin of victory in the 2004 Presidential Elections. Just to let you know on the following page - http://www.statemaster.com/state/TX-texas part of the text to the right of the page is missing, or covered up. 2nd June 2006	 You state that Texas was part of 6 nations but then list only 5, leaving out France, which is also not mentioned in the following sentences detailing the course of events to statehood. The history ought to be corrected.